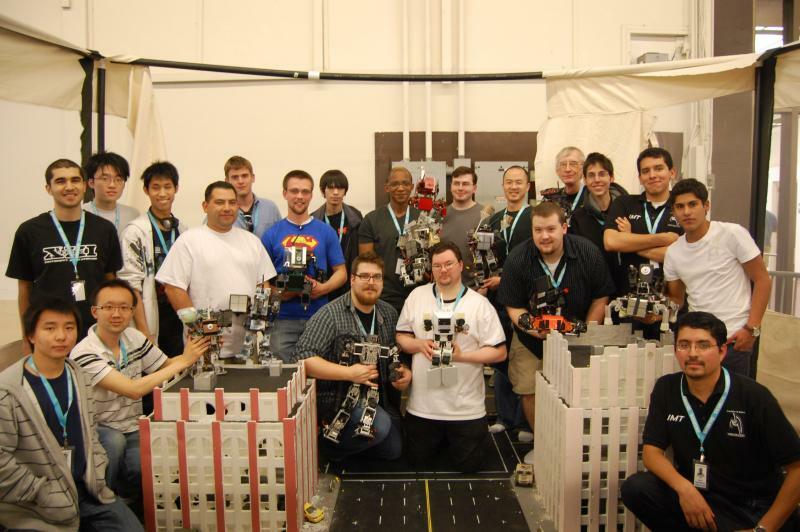 We build robots that fight other robots, in a competition called Mech Warfare (http://mech-warfare.com). We are a group of hobbyists, robotics engineers, students, and various humans that build small remotely piloted walking robots armed with airsoft, nerf, and even more powerful weapons such as micro-rockets, custom co2 powered bb rifles, and flame throwers. 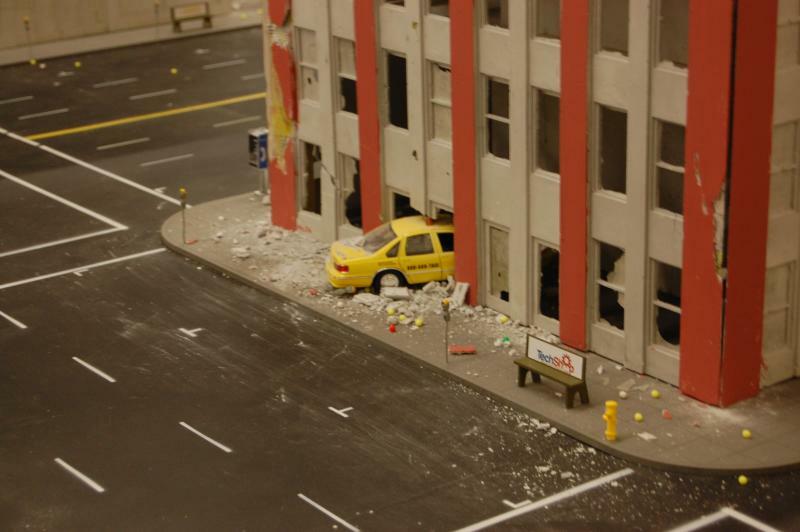 We take these robots, place them in a small-scale model urban environment and duke it out. 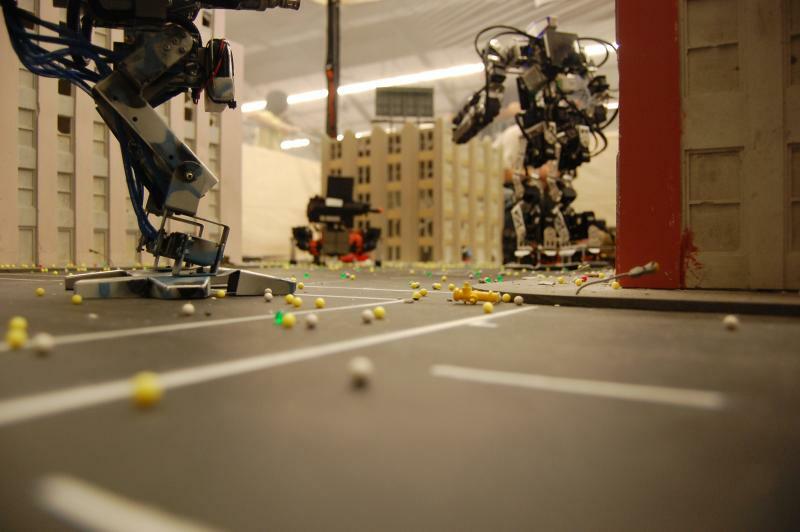 Mech Warfare is part engineering competition, part "real-world videogame" with a strong emphasis on sharing knowledge, advancing robotics technology, and having fun. In our 4th year, we now have teams from across the United States, Canada, Mexico, and even Japan flying into Robogames in San Fransisco to compete each year. 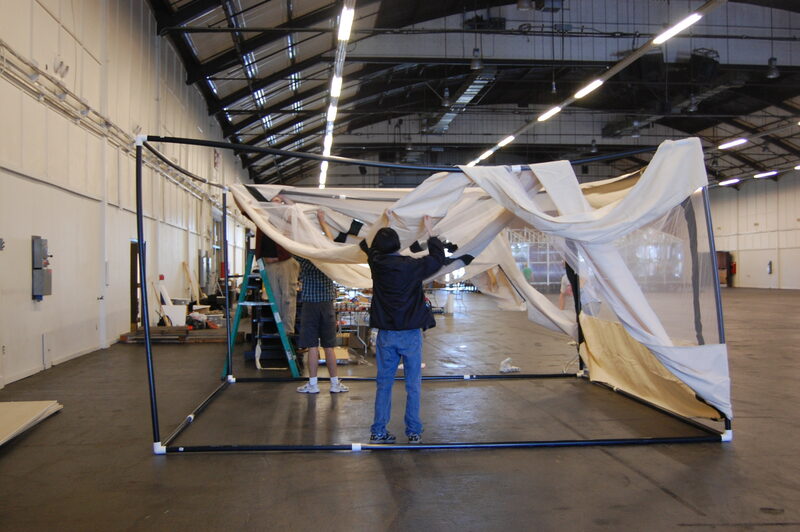 The last 3 years we've used a simple PVC pipe & canvas tent, which is inadequate for larger more powerful robots. 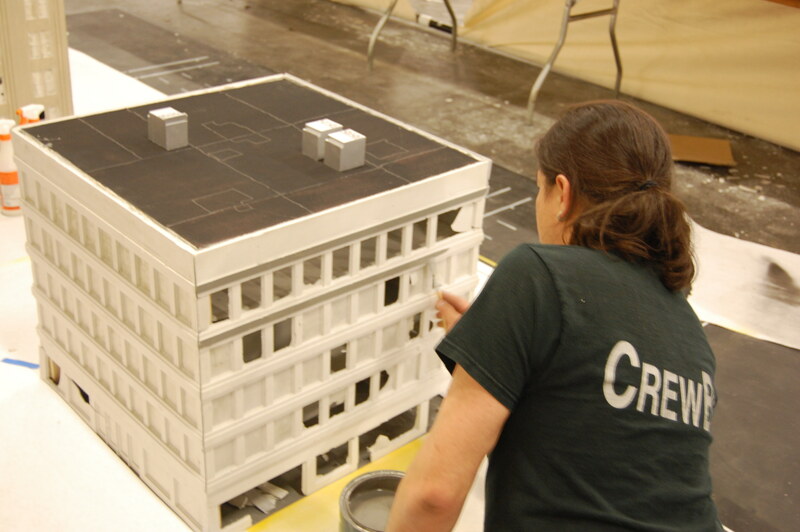 Furthermore, we were fortunate enough to have a professional model making crew (Fonco Creative Services) do all of our scale buildings for the inside of the arena. While the internal environment looks very professional and well done, the canvas & PVC tent takes away from the immersion and overall aesthetic of the competition quite a bit, and we'd like to remedy this. We need Kickstarter's help because our robots are growing a bit too large and powerful to be hosted in a canvas tent. We need to build a lexan & aluminum armored arena to keep the robots safely confined within the arena, and keep the spectators on the outside safe from stray micro-rockets and BBs. 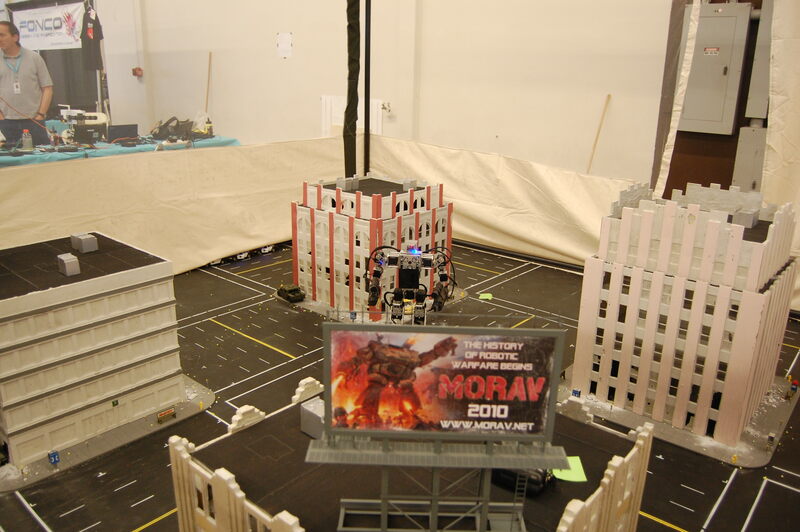 If you've ever seen BattleBots, think of our arena as a smaller-scale version of theirs. We need to raise $6000 to build a modular, aluminum frame and lexan arena that is easily compacted and capable to be shipped/shared with other Mech Warfare competition groups popping up (we have a few so far). All of our 3D design plans for the arena will also be openly available for download to anyone interested. Any additional money raised beyond the cost of the arena will go into upgraded our networking equipment which allows us to stream live video feeds from the robots (used to remotely pilot the robots), displays for live 'mech-cam' feeds, and other various improvements for the arena and competition. As this is a non-profit, open source competition, we don't really have anything to physically build or much give away. We are however doing something that hasn't been done before, and something that we are very passionate about. There is no 'end goal' in mind for this competition, there is no profitable market product to create, we are inventors and tinkerers simply doing this because we love technology and learning. And robots. Because robots are awesome. With that said, we have in the past offered 'ad space' in the form of small advertisements, signage, building signs, etc, incorporated into our small-scale urban arena. For example, in previous years we've had miniature billboards featuring sponsor logos and websites, park benches with ads of them, and buildings named after other sponsors. We also have our friends over at Fonco (and Kickstarter Alumni) offering up some sweet MORAV based schwag. 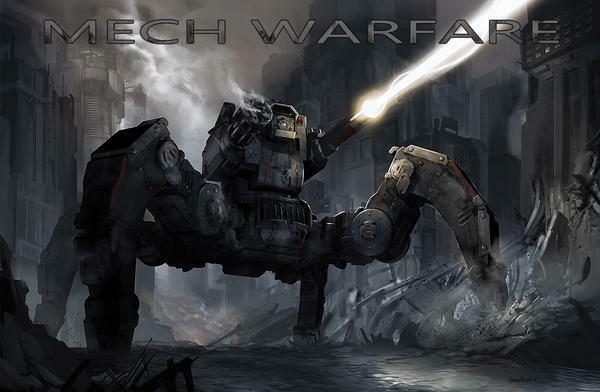 AND, we have friends in our community whipping up some pretty awesome Mech Warfare posters as well! This is a competition we have had a lot of fun building, and every year it grows in size and the number of people involved. The investment into this arena will help the competition grow for years to come. Thanks so much for reading and taking an interest. Update: Here's a peak at the Mech Warfare poster that backers of $25 or more will be receiving! Cheers and thanks again for your support!